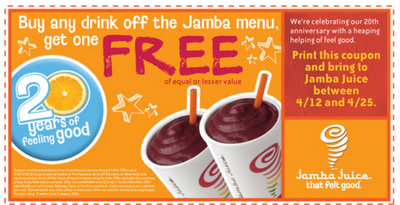 Jamba Juice is celebrating "20 years of feeling good" with this buy one get one free coupon valid through 4/25. Click here or on the coupon below. What's the fine print say?